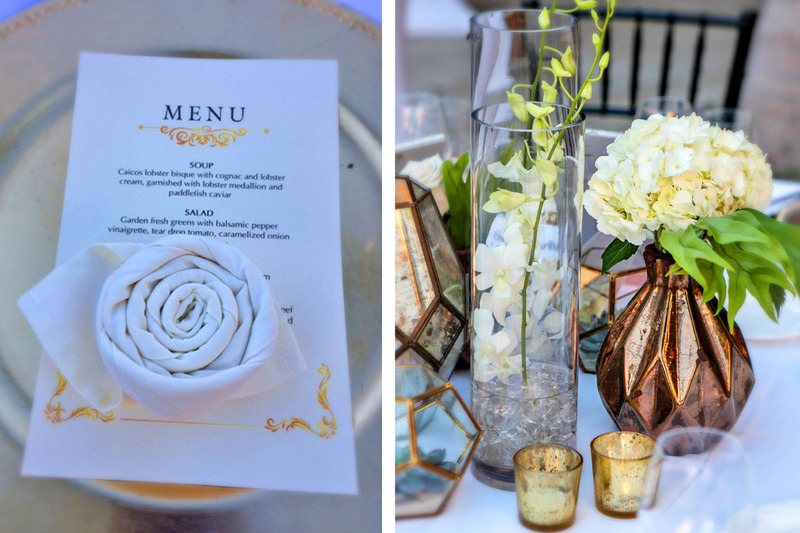 The island paradise of Turks and Caicos – like many Caribbean destinations – is renowned for sea, sand and sun; but when the latter dips below the horizon, a whole new world beckons – sanctuary under the stars. After a long day of snorkeling, surfing or sunbathing, must come the night to complete the diurnal roster of events that is characteristic of the islands. 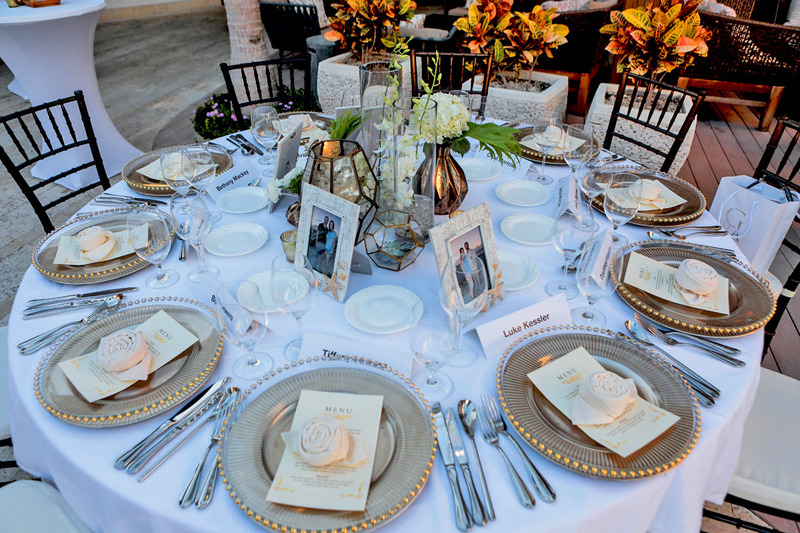 The event management team at Destination Turks and Caicos (DMC) has had the privilege of organizing several evening events over the years, but the most recent one has to be acknowledged as being among the best. 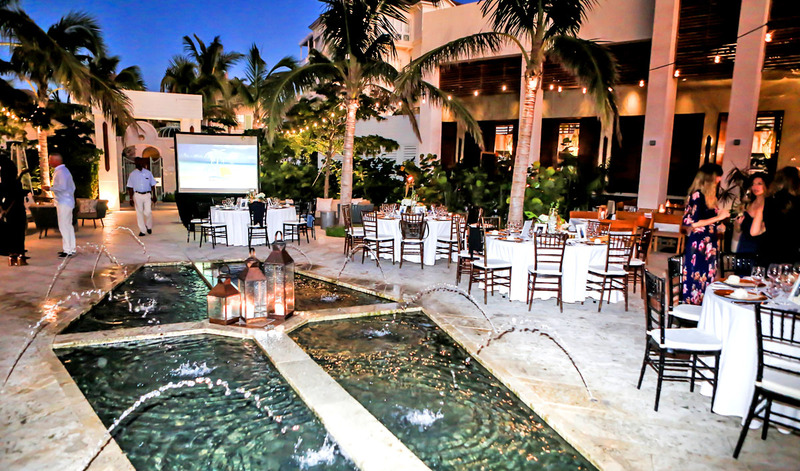 An American corporation intent of pampering its top performing sales reps from one of its divisions for a week in the Turks and Caicos Islands, brought down the curtain with a gala dinner under the stars at the recently opened Shore Club. As the sun was preparing to set, several van loads of sun tanned souls pulled up to the Long Bay resort from the place of abode on the Grace Bay strip. The sanctuary for the night was the open air section of the SUI-REN restaurant. SUI-REN is the newest fine dining experience in Providenciales combining Peruvian and Japanese cuisine into a new concept, the first of its kind in the islands. After an hour or so of cocktails, the group numbering about 44 persons, settled into their seats for the evening’s feast and entertainment. Once their attention was garnered, a few words were uttered about the reason they were there, expressions of gratitude, and then a video presentation was made of the activities during the preceding days. The dinner was served in five courses to the compliment of live music from the local band Sound Proof. Towards the end of the dinner, the vocalists surrendered the stage to a fire dancer with the accompaniment of Bob Marley instrumentals in the background. A willing or unwilling woman was recruited from a dinner table closest to the action to form part of an act. 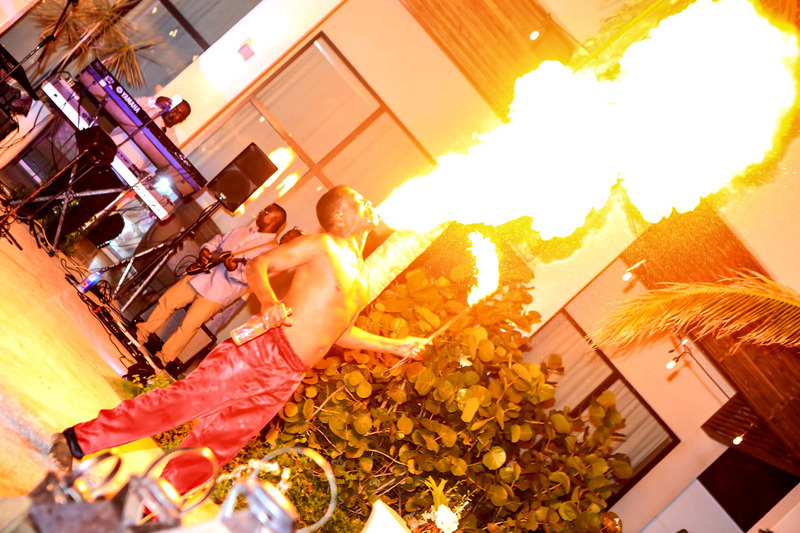 All eyes were trained on the performance with gyrating hips, juggling fire wands, and spits of fire into the air. Empty cocktail glasses and dinner plates finally give way to moves on the dance floor. It was party time, and every muscle known to man was flexing to popular music from the Caribbean and further afield. Some of the guests with vocal talent even commandeered the microphone and performed a few ballads. Even as the scheduled end of the entertainment had passed and the band’s performance was waning, there were protests for more. And there was more, but all good things must come to an end. With some measure of reluctance, and a lot of coercion, the guests filed away one at a time to their waiting vans. It was back to the center of gravity, Grace Bay, where I am sure the night was not yet over. However, the memories of Shore Club, I am sure, will linger in their thoughts for a long time to come.